A very tasty & healthy Bread for breakfast !!! 5. Add salt, 3 tsp olive oil, oats, whole wheat flour & maida . Mix to make a nice dough. 10. 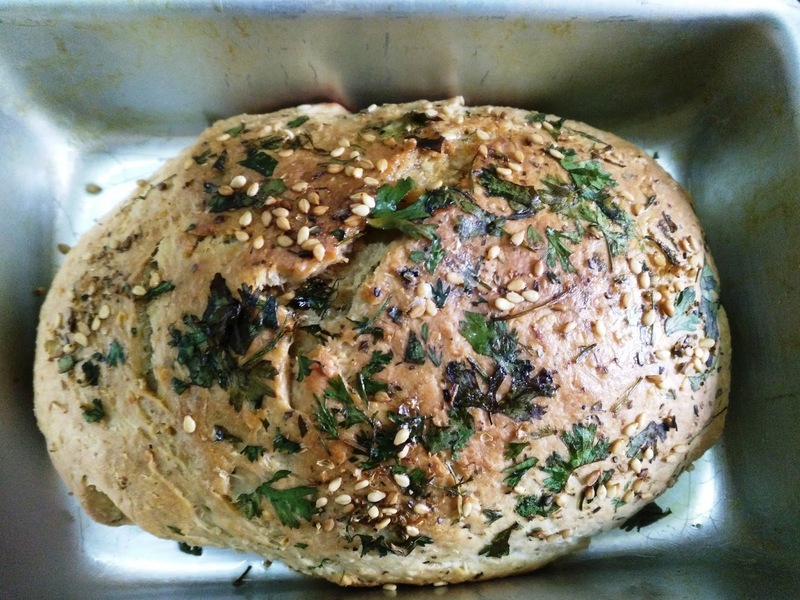 Prepare the shape of the loaf in a greased loaf pan. 11. Again keep the tray for about 1/2 hour. 12. After proving the loaf apply little water on the top so that it will not be dry. 13. Sprinkle sesame seeds, mixed herbs & chopped coriander on the top. 14. Bake the loaf in preheated oven at 200 C for 20 minutes or till it turns brown. 15. Apply butter on the bread when it is hot. This bread is not as soft as white bread but tastes awesome. I also prepared small buns with same dough in cup cake mould which also turned out very nice. 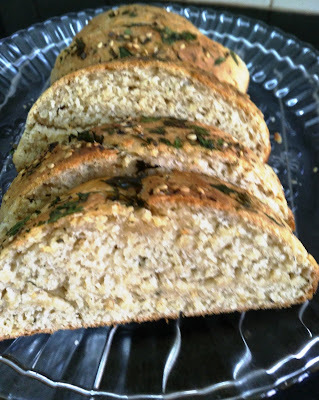 Enjoy hot home made soft bread with butter or with hot tea!!! Could you please let me know the size of your cup . I mean how many ml in 1 cup ? Could you please let me know the size of your 1 cup . I mean how many ml in 1 cup ? 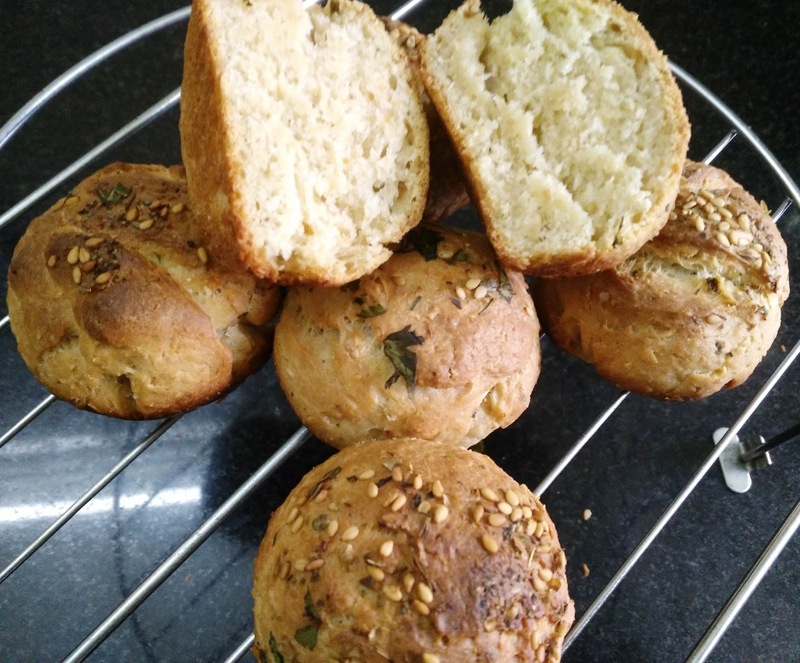 delicious bread,love home made breads.